Born: 22 September 1850, London, United Kingdom. Died: 11 November 1920, Khandallah, Wellington, New Zealand. David Ernest Hutchins passed the entrance examination for the Indian Forest Service - the most advanced service in the English speaking world at that time - in November 1869. He then studied at the Ecole Nationale des Eaux et Forets (National School of Water Resources and Forestry) in Nancy, France, completing his studies in September 1872. He served in the Indian Woods and Forests Department for ten years, first in the teak and bamboo forests of western Mysore and later, on the basis of his aptitude for research and ability to write clear scientific reports, as special assistant to the inspector-general of Forests, Dr D. Brandis. His interests included the silviculture of the common but valuable sandalwood (Santalum album), growing in the drier parts of Mysore and Madras. His first paper, "Notes on sandal", appeared in the Indian Forester under a pseudonym in 1878. In 1882 he undertook valuation studies of the Eucalyptus plantations in Madras, which convinced him of the value of intensively managed plantations for producing large amounts of quality timber, particularly where the indigenous forests were slow growing or limited in extent. In 1883 his promising career was disrupted by the recurrence of severe malaria, which led to his secondment to the Department of Woods and Forests of the Cape Colony, under Comte de Vasselot de Regne*. He was sent to the Eastern Conservancy, arriving at King William's Town in September 1883. There he demarcated the remaining indigenous forests and stopped their uncontrolled exploitation, despite strong local opposition. A series of test plantations of exotic species, particularly eucalypts and pines, was initiated throughout the region and eventually provided useful information about the suitability of various species for the Eastern Cape. In 1884 he wrote a well thought-out report on the need for a new forest law, which contributed to the passage of the Forest Act of 1888. Hutchins was intelligent and energetic, had a deep concern for forestry, and his ability and integrity were recognised. However, he had a rather abrasive manner and was outspoken in his criticisms and opinions. This alienated the local population and strained relations with his superiors. In September 1888 he was therefore transferred to the Midlands Conservancy and stationed at Knysna. Here he attempted, without much success, to establish a railroad sleeper industry based on the indigenous yellowood (Podocarpus spp.). Much of his time was spent overseas, reporting on the forests of West Virginia (1889) and south Germany (1890). His Joural of a forest tour, dealing with the forests of central Europe, was published in Cape Town in 1892. He did his best to instruct the South African public about the importance of a local forest industry, mainly through pamphlets issued by the Department of Agriculture, and articles in newspapers and in the Agricultural Journal of the Cape of Good Hope. In January 1892 Hutchins was transferred to Cape Town as Conservator of Forests for the Western Conservancy. He greatly expanded both the number and sizes of its existing forest plantations and established many trial plantings of new exotic species in the Tokai area. In 1893 he wrote the chapter on "South African woods and forests" in the Illustrated Official Handbook of the Cape and South Africa and, during the same year, Tree-planting 1893. A descriptive catalogue of the best trees to plant in Cape Colony.... In 1899 he spent nine months at Kew Gardens, near London. Gradually he came to be considered as the senior forestry adviser to the government and was sent on several missions to either demarcate new forests or report on forestry matters. For example, he reported on the forests of Southern Rhodesia (now Zimbabwe) in his Report for the Rhodes trustees on the Matopo park and trees suitable for planting there and in Southern Rhodesia (Cape Town, 1903). 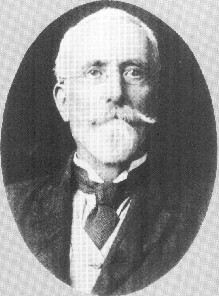 That same year he was sent to the Transvaal Colony to advise on the choice of species for replacing the trees destroyed during the Anglo-Boer War (1899-1902), leading to his Transvaal forest report (Pretoria, 1903) in which he recommended tree species from Australia and the central highlands of Mexico as most suitable for the climate of the Transvaal Highveld. He also specifically recommended that Pinus taeda and Pinus patula be planted in the Eastern Transvaal, a recommendation that has proved most valuable. These recommendations were based on his view that climate was the major factor determining the success of plantations of exotic trees, and that the trees to be introduced should therefore be matched to the climate of the region in which they were to be planted. This view was not widely held at the time. He advocated it again in a wide-ranging series of articles on "Extra-tropical forestry" in the Agricultural Journal of the Cape of Good Hope from January 1905 to October 1906, also published in the form of a book in 1906. In 1905 he furthermore wrote a review, "Forestry in South Africa", for the volume Science in South Africa, in prepartation for the visit to South Africa of the British Association for the Advancement of Science. That same year he delivered a paper on "The indigenous forests of South Africa" at the joint meeting of the British Association and its South African counterpart. The paper was published in the Addresses and papers... (Vol. 1, pp. 319-334) after the meeting. His work had a profound effect on the development of forestry in South Africa, paving the way for an industry based on exotic tree species and advancing public interest in forestry. Hutchins also had a strong interest in meteorology, particularly in climatic cycles and their correlation with cycles in sunspot activity. While stationed at King William's Town during the eighteen-eighties he established a meteorological station on the edge of the Pirie mountain plateau, some 30 km from the town, where he recorded the rainfall for several years. In August 1886 he presented a lecture to the King William's Town Naturalists' Society on "Sunspots and seasons", in which he tried to show that years of high sunspot activity were associated with storms and floods, while years of low acitivity were usually dry. This lecture, with another one delivered in 1887, were published in Cape Town in the form of a monograph, Cycles of drought and good seasons in South Africa (1889). He also published several papers dealing with the rainfall of South Africa and related topics in the Agricultural Journal of the Cape Colony between 1888 and 1898. During this time he was elected a Fellow of the Royal Meterorological Society. In 1904 Hutchins was passed over when the new post of chief conservator of forests was filled (by the appointment of J.L. Lister*). Instead he became technical consultant to the commissioner of crown lands and public works, as well as professor of forestry and lecturer in forest geography and history at the South African School of Forestry, newly established by the South African College at Tokai. Hutchins participated in the activities of several local scientific societies. In 1886 he served on the management committee of the King William's Town Naturalists' Society. From 1897 to 1907 he was a member of the South African Philosophical Society and read papers before it dealing with both forestry (1898) and meteorology (1905). In 1902 he became a foundation member of the South African Association for the Advancement of Science and the next year read a paper on "Some aspects of South African forestry" at its first annual congress, held in Cape Town. A major change in his career occurred in November 1906 when he was appointed by the British Colonial Office as a visiting forestry expert and asked to report on forestry in British East Africa. This led to his report to the British Parliament, East Africa Protectorate. Report on the forests of Kenia (now Kenya; London 1907). The quality of this report led to his appointment as chief conservator of forests for that territory and Uganda in June 1907, at which time he retired from his post at the Cape. Two years later he produced an excellent Report on the forests of British East Africa (London, 1909) and a Report on Cyprus forestry (London, 1909). He retired from this post (which was abolished) in 1911 at the age of 61. While residing in Kent, England, during the next two years he appears to have spent much of his time travelling. In 1914 he was requested to investigate forestry in Western Australia and produced a monumental report, A discussion of Australian forestry... (Perth, 1916, 434p). Later that year he went to New Zealand, at the request of its government, to work on the demarcation of the Wapoua Forest - one of the last large tracts of indigenous kauri forests. His detailed report on the forest and its potential, Waipoua kauri forest: Its demarcation and management appeared in 1918. After further investigations all over New Zealand he published the first part of a report, New Zealand forestry (Wellington, 1919). The next year, after a career of almost 50 years, his services to forestry throughout the British Empire were officially recognised by his appointment as Knight Bachelor (KB). The African tree species Brachylaena hutchinsii was named in his honour at Kew Gardens. Agricultural Journal of the Cape of Good Hope, 1888-1898, Vol. 1-13; 1905-1906, Vol. 26-29: Papers by Hutchins. Cape of Good Hope. Report of the Superintendent of Woods and Forests, 1883-1907. Darrow, W.K. Forestry in the Eastern Cape Border Region. Pretoria: Department of Forestry, Bulletin No. 51, 1975. Darrow, W.K. David Ernest Hutchins: A pioneer in South African forestry. Pretoria: Department of Forestry, Bulletin No. 55, 1977. Kaffrarian Watchman, 9 August 1886, p. 3, "Naturalists' Society"; 5 November 1886, p. 2, "King William's Town Naturalists' Society". National Automated Archival Information Retrieval System (NAAIRS). http://www.national.archives.gov.za/naairs.htm Documents relating to David Ernest Hutchins / D.E. Hutchins. South African Association for the Advancement of Science. Report, 1903. South African Philosophical Society. Transactions, 1897-1907, Vol. 9-11, 16, 17: Lists of members; papers by Hutchins. South African School of Forestry. Transvaal Agricultural Journal, 1906, Vol. 4, pp. 809-810.